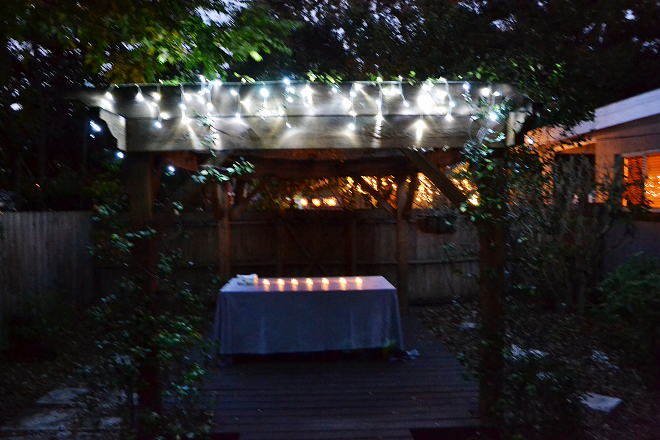 We kept the decor simple, letting the lovely weather of the evening do the atmosphere for us. The lights gave a soft glow, holiday jazz played early in the night which transitioned into acoustic + indie rock later in the evening. There were so many drinks to chose from including wine, bourbon, + tea. 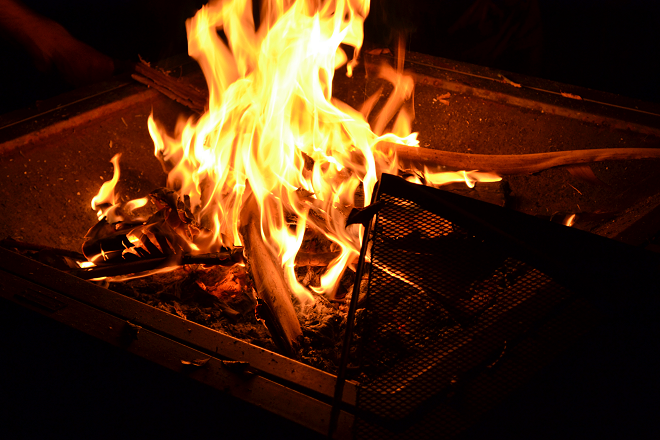 After dessert, we all went over to the fire pit to roast marshmallows + make smores. I haven't had smores in so long so it was a lovely treat to the cool night. We ended on a sweet note with cookies in bags for later, and many delightful pies + tarts. My absolute favorite was the pecan tart with raspberry honey. 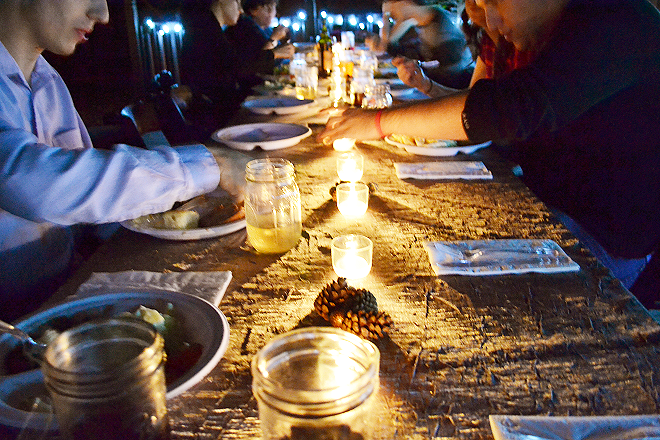 Food, friends, + merry: the ingredients to a lovely holiday dinner party! It looks amazing! 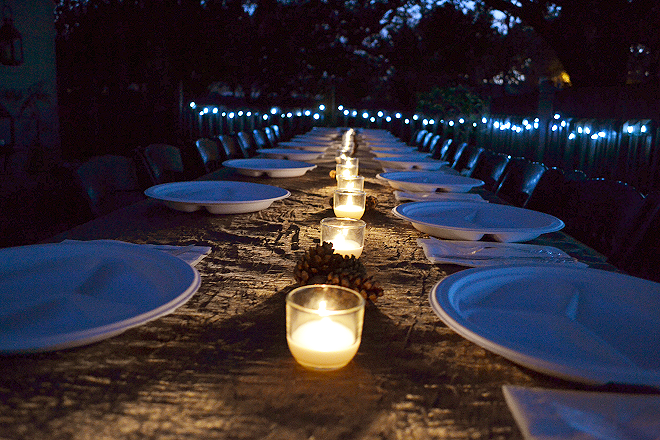 I love the glow and the feel, plus it is really nice to have a dinner outside in the evening.Lovely and I wish I was there for some of those yummy sounding treats! Yeah, I'd like to attend your dinner parties please. It looks beautiful and it sounds SO delicious!! What a beautiful party...it definitely looks like a fun event! That looks like a really good time :)! I'm jealous! Wow!! 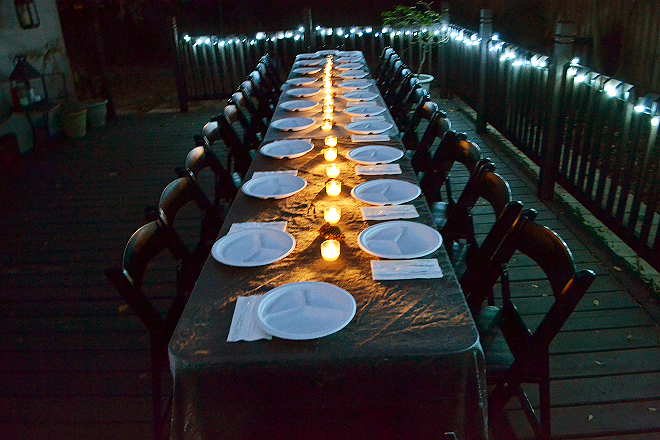 You guys know how to pull off a great dinner party! Looks lovely! It looks lovely! Beautiful decorating, with the lights. oh gosh, this just all looks so lovely. i adore the decorations of this party so much. 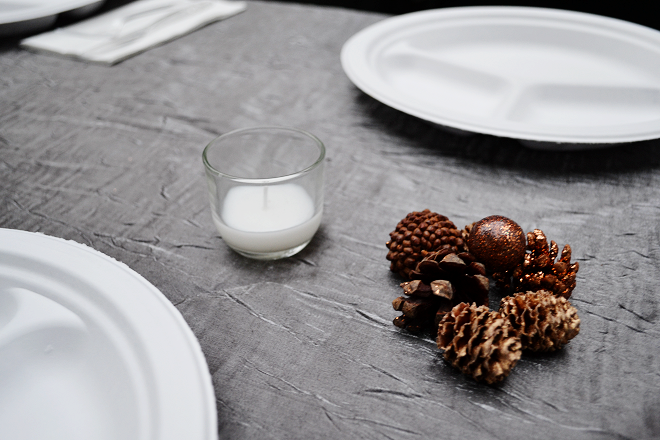 that's so awesome you can have these outdoor at this time of the year! This looks like such a wonderful dinner party! 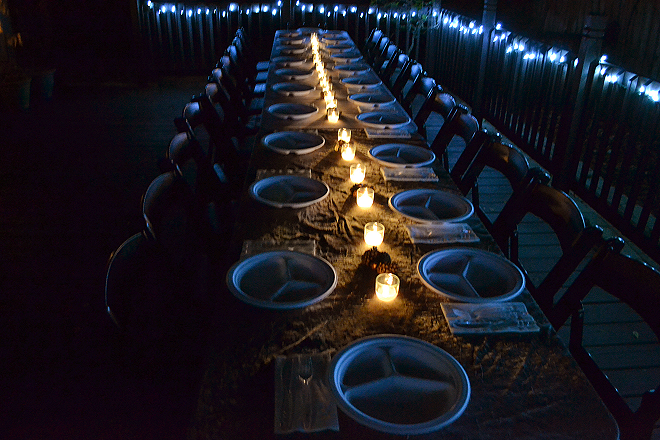 I bet you all had a wonderful time - I'm definitely going to need to up my dinner hosting skills! This sounds amazing! I want to make all of those dishes now. I'm a goat cheese ADDICT! Looks lovely! Goat cheese and honey (with figs) is one of my favorites. You and your friends did a great job planning because...wow! Looks so pretty and well done.